We`re Officially re-seller of DMA Softlab Radius Manager. We (Tristar Technologies), let you know about DMA Radius Manager. Special accounting periods (night mode etc). System Requirement: Minimum Core 2 duo Processor, Minimum 4GB RAM, Minimum 80GB SSD Disk for system, One external New LAN Card, 2-4TB HHD for Logs saving. DMA SOFTLAB team will configure your MikroTik with Radius Manager NAS, CTS Logs one time. Root Password & Remote IP. We ( Tristar Technology) Never give any kind of Technical Support over Radius Manager but DMA Soflab offer 1 year online technical support from License Purchase date. NOTE: We are not responsible for any damage of License & System during or after installation. DMA Radius Manager is a easy to use administration system for Mikrotik, Cisco, StarOS, Chillispot,DD-WRT, pfSense NAS devices and DOCSIS CMTS. It provides centralized authentication, accounting and billing functions. New user registration is also available on the Hotspot login page. When a user clicks the “Register an account” link, a registration screen will appear. This form can be completed in 2-3 minutes to register and activate a new account. 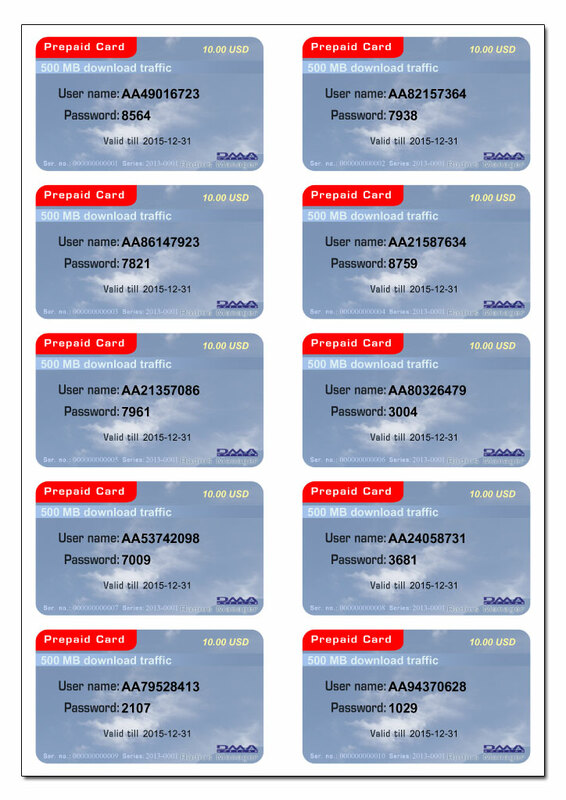 The system produces press ready, professionaly looking cards in PDF format. Find an example screenshothere or try the online demo. Hardware requirements:Linux 1 is the DMA Radius Manager server. It uses the local MySQL db engine for storing the RADIUS and CTS databases. Mikrotik 1 is a PPP / Hotspot server with special firewall rule to send the traffic details to Linux 1. If You have a non standard Linux system, please contact us first. We’ll install a demo version on your server to be 100% sure your host will work properly later in a live environment. The system has been tested with the most widely used CMTSs: Cisco UBR series, Motorola BSR series,Arris, Juniper etc.